It has been a hectic few months for Wairarapa’s Callan Elliot, but there are even bigger things on the horizon for the 19-year-old football star. 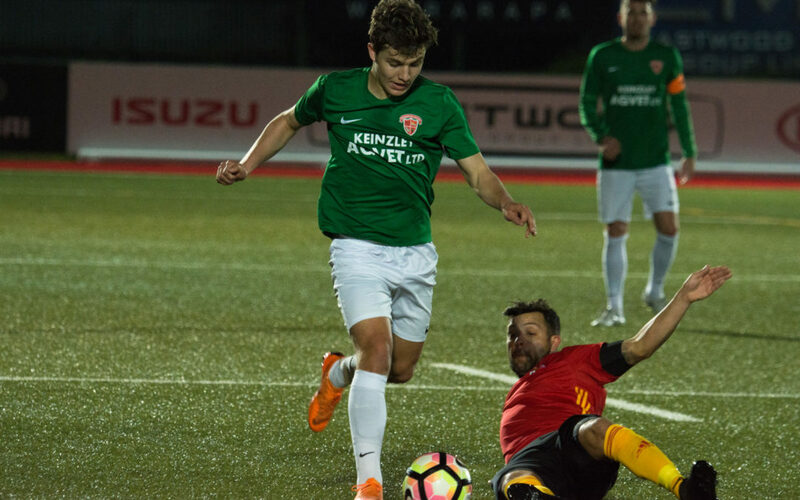 As well as playing a pivotal role in the Wairarapa United men’s team this season, Elliot also had the opportunity to trial with the Wellington Phoenix, and has returned from the Oceania Under-19 Championships, where he represented the New Zealand Under-20s. 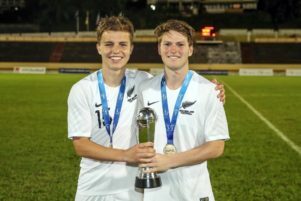 New Zealand won the tournament with a 1-0 win over hosts Tahiti in the final and finishing in the top two meant they qualified for next year’s FIFA Under-20 World Cup in Poland. Elliot said it was a thrill to get his first taste of international football. “It was my first time representing New Zealand, so it was good to get my debut. Elliot was born in Scotland but moved to New Zealand when he was seven years old. He grew up in the Nelson region, and it was there that his journey to Wairarapa began. He spent time in Paul Ifill’s academy there, before making the move to the North Island in 2015 to join Ifill’s Wairarapa-based academy. He has still spent time playing in Nelson, linking up with Tasman United in the Handa Premiership. “I grew up playing football down there and it was with his academy down in Nelson that I first met Paul. Nearly four years later, that dream has been realised but there is plenty more work to do in the coming months. The playing group that did the job in Tahiti will get together for training camps in the coming months, along with some of the players who missed out. From those camps, a squad to contest the World Cup will be chosen. Elliot said his time with Wairarapa United had been crucial to developing his game. “Playing with Wairarapa United has been huge, especially with the likes of Paul, Cory [Chettleburgh] and Cam [Lindsay]. Elliot’s trial with the Phoenix included a memorable match against Wairarapa United in Masterton, where he got to line up against his teammates. “It was a bit weird to be honest. He is waiting to hear from the Phoenix to see if they would like him to return and said picking up a professional contract was one of his goals. “The whole professional environment with the Phoenix was awesome and training with the likes of [Roy] Krishna was great. Next year’s FIFA Under-20 World Cup will start on May 23 and finish on June 15.